But just days before the wedding, Hanna meets Daniel, an enigmatic stranger who challenges her to question her fate and to follow her own will. Then her mother tells her a secret–one that could grant Hanna the freedom she’s known only in her dreams. As her world unravels around her, Hanna must decide whether she was really meant for something greater than the claustrophobic world of Clearhaven. But can she abandon her beloved younger sister and the only home she’s ever known? 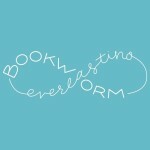 Or is there another option–one too fantastical to believe? With lush, evocative prose, Christopher Meades takes readers on an emotional journey into a fascinating, unknown world–and, along the way, brilliantly illuminates complexities of faith, identity and how our origins shape who we are. Hanna Who Fell from the Sky had so much potential. I was intrigued right away by the synopsis and by the beginning of the story. 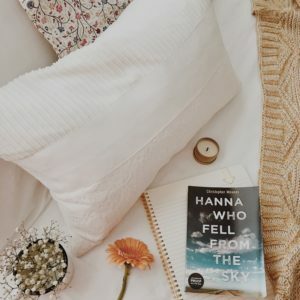 In my opinion, if Hanna Who Fell from the Sky stayed strictly a contemporary novel, without the fabulism elements, this would have easily been a five star book. The fabulism ended up throwing me for a loop too many times to truly enjoy the story, though. Hanna lives in a polygamist community that she has never left and she’s suppose to be the fifth wife to a man twice her age when she turns eighteen. I was interested in reading how a story like this would play out. For the most part I was impressed with the range of emotions this book sparked in me. I would want to yell at the characters to stop letting this happen, but also felt empathy for them. I was angry, but also thrilled for Hanna when she met Daniel. I wouldn’t call the relationship Hanna and Daniel formed instant. I would say it was inevitable. It was nice to see her be happy for once, too. The one thing I did not like was the magic. I would be captivated by the story, then jarred out of it when Hanna is magically taken care of. It felt like it came out of nowhere. I don’t want to go into specifics and ruin the story, but I think the story could have done well without it. I can definitely see plenty of people enjoying the entirety of Hanna Who Fell from the Sky. For the most part, I did too.